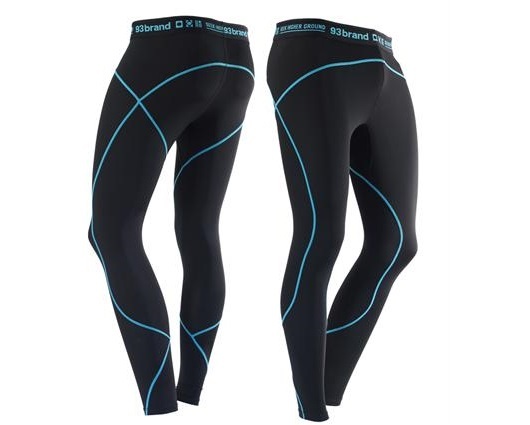 Spats, also commonly known as long compression pants, are useful garments for athletes to wear during training. 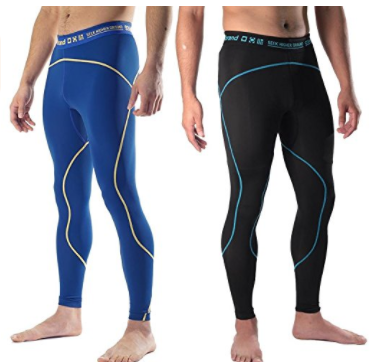 Athletes from different sports frequently use compression clothing for its warmth and moisture wicking properties. Those training in martial arts can equip these types of clothing to receive the mentioned benefits as well as other advantages specific to martial arts. This article reviews the 93 Brand Spats and describes the benefits they offer. Color Options: The image below displays the color options available for the 93 Brand spats. Physical Appearance: 93 Brand spats have an attractive design without relying heavily on screen printed or sublimated graphics. Their unique appearance incorporate contrast stitchings with a special pattern. Contrast Stitching: The contrast stitching utilizes a flatlock stitching style, which provides a seam that is visible on both sides of the spats’ fabric. Layer: These spats are designed so that they can be worn under your nogi shorts or gi pants as well as the primary layer by itself. Fabric: The product description states that the material is composed from a blend of 88% nylon and 12% spandex. Elastic Waistband: The same set of woven graphic is visible on each spats: 93 Brand name, country flags (USA, Brazil and Japan) and their motto “Seek Higher Ground.” The nylon and spandex fabric also covers the back and over the top portion of the elastic waistband. I originally bought these spats to add to my rotation of long compression pants for martial arts. The 93 Brands spat﻿s has been used during gi and nogi jiu jitsu class as well as for striking and mixed martial arts training. It complements my long sleeve rashguard and provides additional friction for submission grappling. This friction is great for performing techniques and controlling your sparring partner’s position control as they become sweatier over time. I find the spats’ fabric to be a great breathable fabric for moisture wicking and keeping the jiu jitsu gi material from sticking to my body during long sparring sessions, which is great for those hot summer days. On cold days, the spats lets me warm up much faster. It also acts as a barrier that helps reduce skin infections and mat burns. However, I would not personally recommend using the spats as your primary layer of clothing due to the fabric being transparently thin. For nogi class, I always had a pair of board shorts worn over the spats. I find 93 Brand stitching design to be unique. I am not a person that commonly wears clothing with a lot of graphics, so this was definitely a suitable option. Therefore, I would recommend these spats to anyone that wants a simple design that stands out at the same time. 93 Brand spats is designed to give a form fitting compression and I find it gives me a nice snug fit for my body build. It hugs the body tightly throughout, even at the ankles. 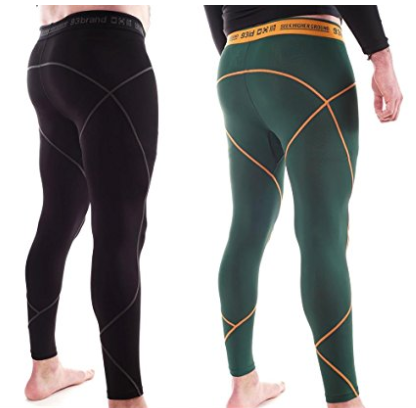 Other compression pants I have worn did not taper to the ankles as well as the 93 Brands spats. This overall tight fit means the spat does not shift around during sparring. Even though the flatlock style of stitching does touch your skin, I do not notice this stitching or any abrasion from it when I am training. 93 Brand spats’ elastic waistband portion has a layer of extended fabric to cover the backing and top of the waistband. This feature causes the waistband to not feel intrusive or irritating as I move around. 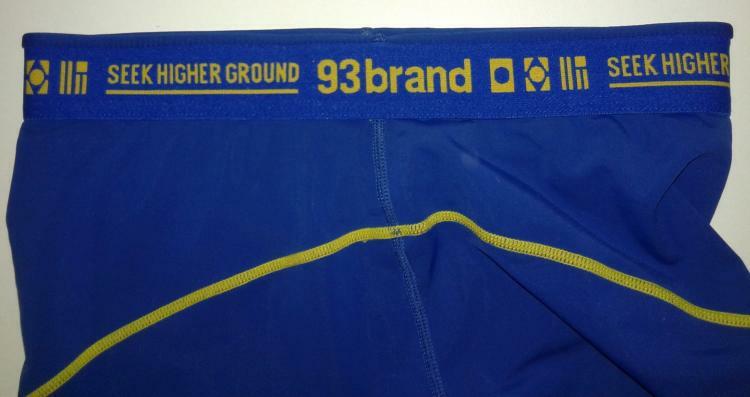 Furthermore, 93 Brand use a screen print on the back of the pants instead of having a tag. Both of these features maintain the level of comfortableness consistent throughout. I find that the elastic waistband has a fine balance of being stretchy while still giving a nice firm grip. A common online complaint about the 93 Brand spats is its durability, especially the tendency for its crotch area to tear. I have not ran across this problem. My 93 Brand spats are holding up well and has shown excellent durability after more than a year of usage. I also use these spats outside of training martial arts and the fabric on my spats is still in great shape. 93 Brand has manufactured these spats with quality stitching. Examining my pair of spats, I have not notice any fraying of these stitches. The waistband stitched graphic allows it to be long lasting and I do not have to worry about it breaking down over time. However, the tag instruction screen printed onto the inside of the spats has faded away. Of course, this has no effect on the spats performance.